We've done contests before on this site, and they've all been exciting. But I think it's safe to say that this contest is taking it to another level. So what do you have to do for this prize? Well, for something this good, it's going to require a little effort. This contest is going to center on golf trips. One of the joys of life is getting together with some friends and spending a long weekend teeing off, relaxing, and having a good time in the natural surroundings of a golf course. So for this contest, the sponsors at Nemacolin told me that they'd like to find the greatest "golf trip story" out there. I'll stop short of saying pictures of said trip are required, but they are highly encouraged. Knowing you guys like I think I do, I'm sure we'll be able to unearth a few gems. All entries must be sent to birds.of.a.feather@nemacolin.com (with "Golf Trip Story" in the subject line) where a panel of judges from the resort will choose the five best entries as finalists. From there, we will reveal the final five, and they will be put to a public vote on Mondesi's House - with YOU deciding what the ultimate golf trip story is. -Entries must be received by May 19, 2010, at 11:59 p.m EST. -Judging will then take place on the "Final Five" by a panel. -The "Final Five" will be put to a public vote, starting May 24 and concluding May 27 at 11:59 p.m. EST. 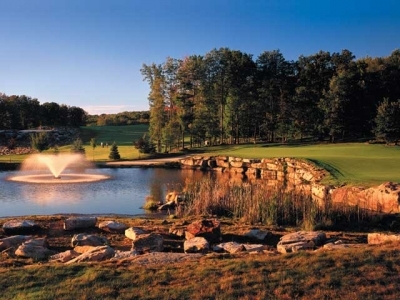 If you're not yet familiar with Nemacolin Woodlands Resort, please take a few moments to peruse their website and check out the incredible atmosphere, dining, and attractions that it offers year-round.Trust me, sharing a golf story and photo or two is a small price to pay for the chance to spend some time at this world-class resort! 101 Ways to have FUN = 101 Reasons to choose Nemacolin! Not that I won't enter, but do people with out-of-this-world golf trip stories need a free trip to Nemacolin? Its us poor schlubs who hack up and down the local muni that need a luxury getaway!! I was thinking the same thing, I wouldn't even have a shot for this one. My best golf trip story doesn't even involve me playing.... it was going to the Firestone WGC in Akron and wathcing Tiger smoke Rory Sabatini in the final round after the infamous "he looks more beatable than ever" quote.